Escape from your current reality and jump into a world filled with love, rainbows, magic and cuteness overload with unicorn decorations! Unicorns represent the impossible becoming a reality and remind us that anything can happen. At Apollo Box we’re team unicorn and have all types of unicorn decorations and unicorn apparel. 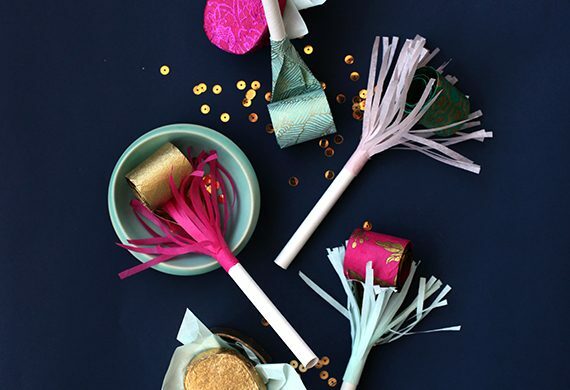 We believe that a little bit of unicorn goes a long way and each one of these unicorn decorations adds just the right amount of joy and happiness to your life. So buy one of these magical unicorn decorations and accessories to live in a wonderland. 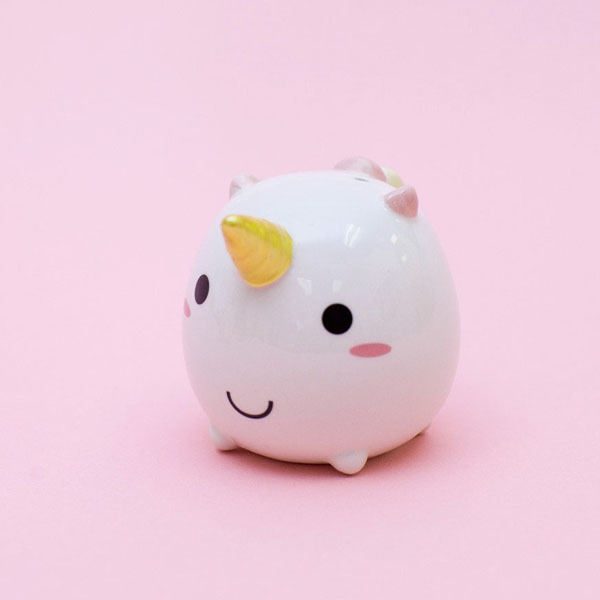 These Unicorn Salt and Pepper Shakers are too cute for life! HelloGiggles Editor Emily Popp said she was going to buy them in bulk for future birthday presents and you should too! 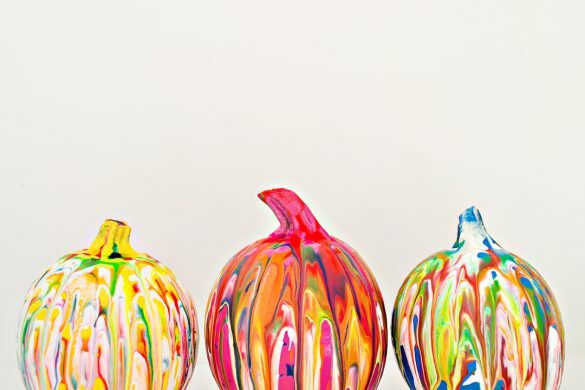 Season your food with an extra dash of magic and sparkles with these adorable salt and pepper shakers. 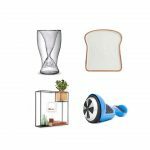 They’ll look adorable on your kitchen table and be the perfect addition to your unicorn collection. 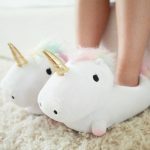 Created by Smoko, a small company based in LA, these unicorn slippers are so cute you won’t be able to stand it. With a rainbow colored mane, friendly eyes, large head and little legs, you’re bound to smile every time you look down at your feet. 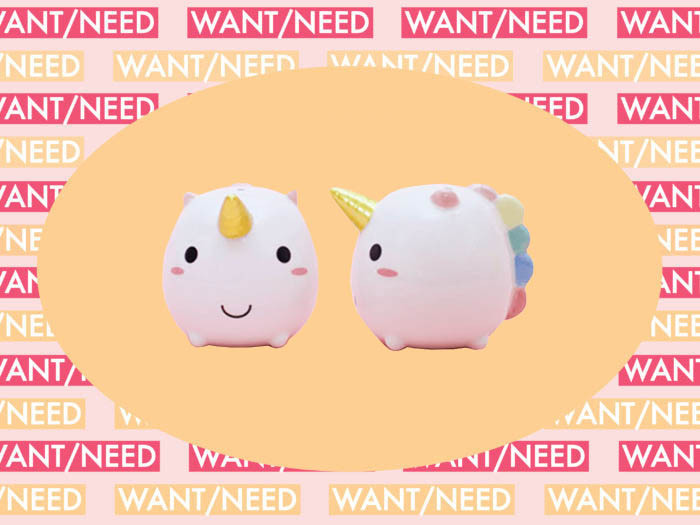 These unicorn friends also make the cutest social media posts, and will look adorable on your next Snapchat story. 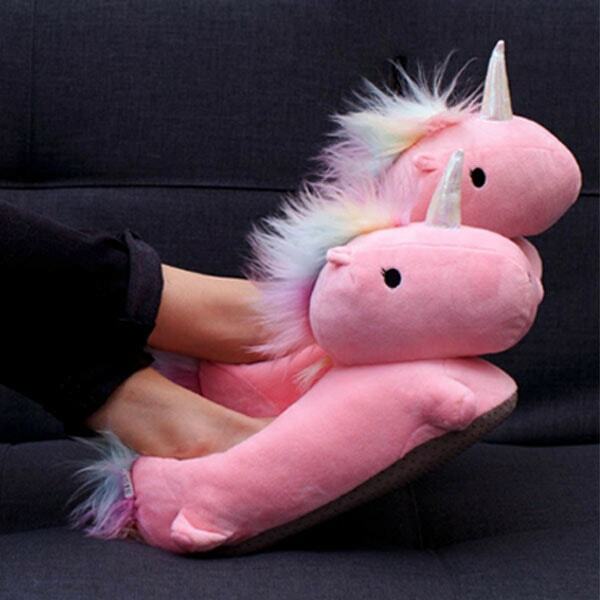 Click here for the top 3 reasons why you need these unicorn slippers. Get cold feet in winter? We have the unicorn USB heated slippers that will keep your tootsies warm and cozy! 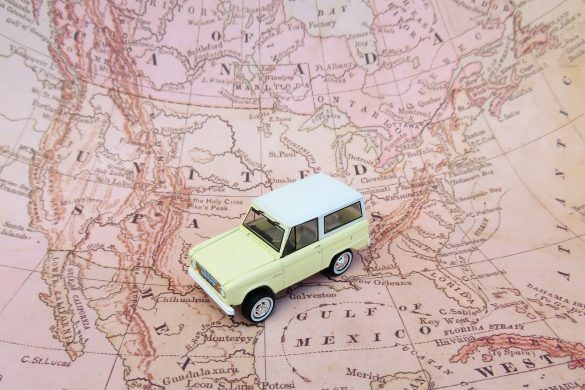 Want to add some fairy-tale enchantment into your life? 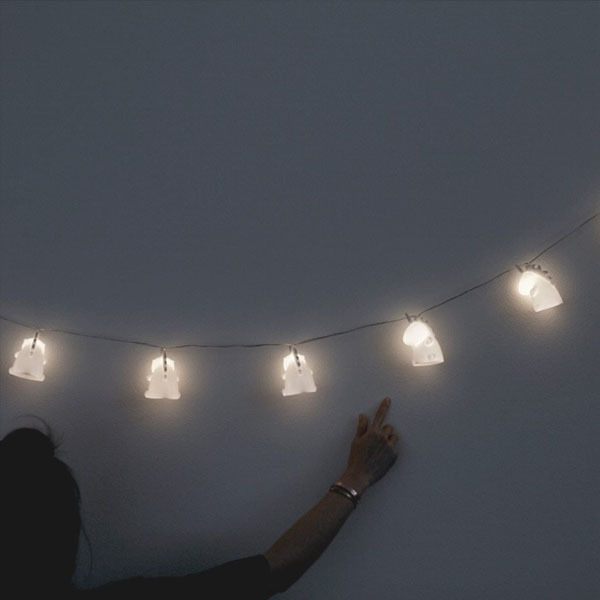 Then our unicorn string lights are the perfect ingredient. 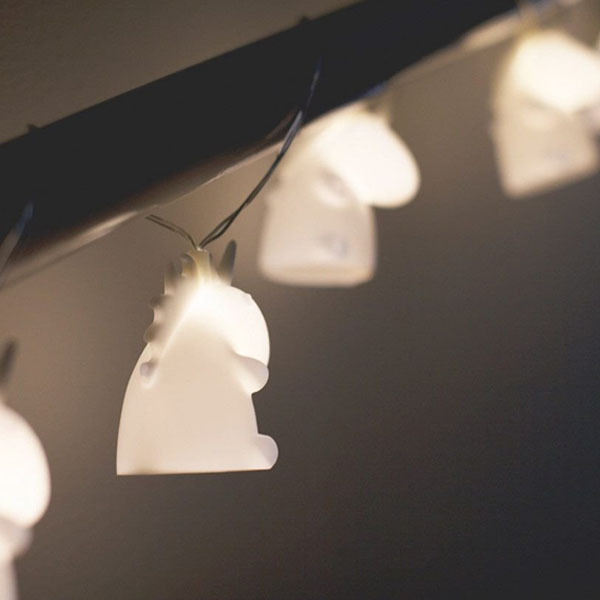 These little unicorns are the perfect unicorn decorations for outside parties and slumber parties, and add the right amount of magic to any bedroom. No outlet? No problem! 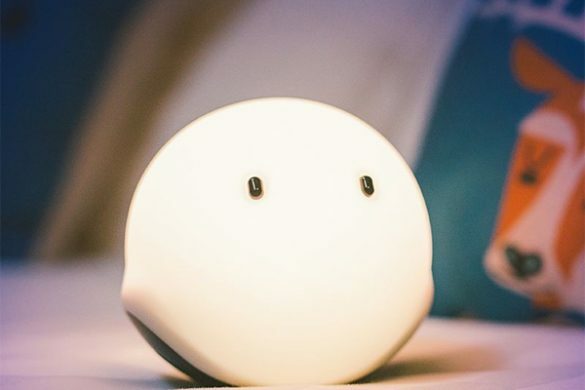 These lights run on batteries so they light up in any space. 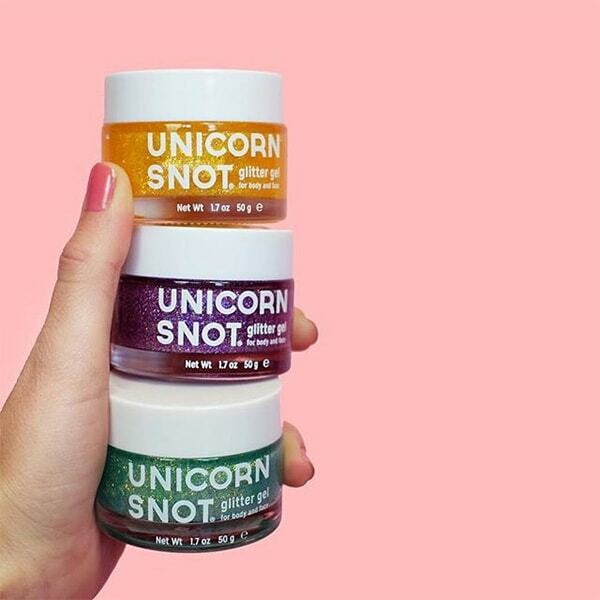 Are unicorns your spirit animal? 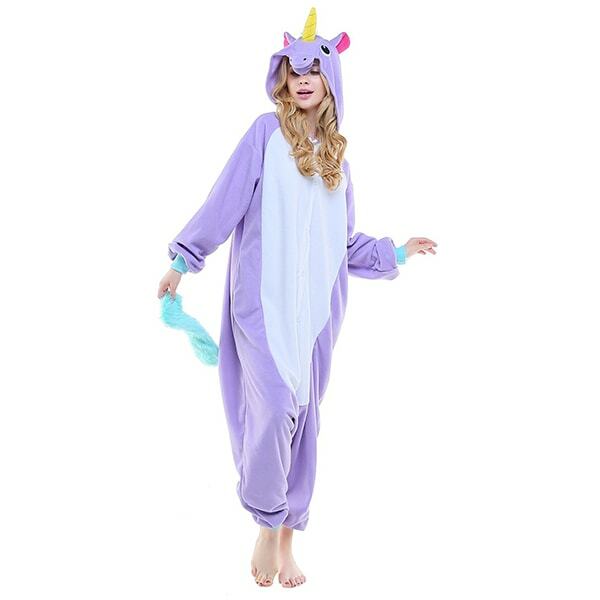 Then let your inner spirit animal run free with this rad unicorn onesie. 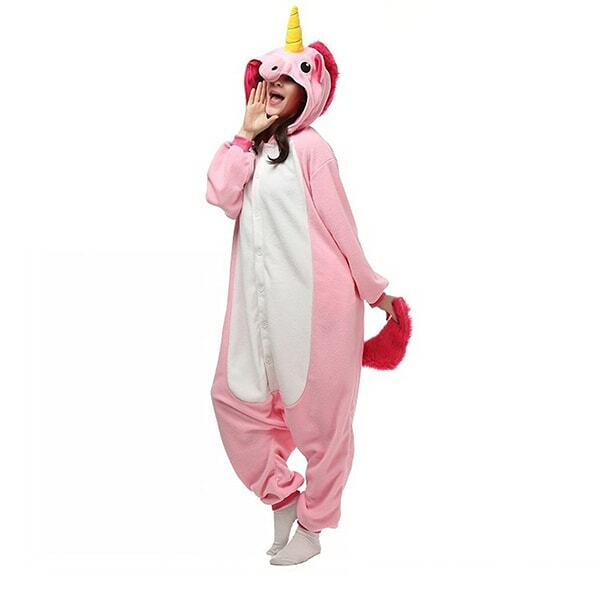 Get ready for fall and stay warm and cute in these unicorn pajamas. Made of ultra-soft polar fleece, each loose fitting onesie even has pockets. Relax at home and wear this cuddly costume to a cosplay event or Halloween party. A unicorn’s magic comes from within- just like yours! Let your inner glow sparkle and shine all over with this fantastic glitter gel. 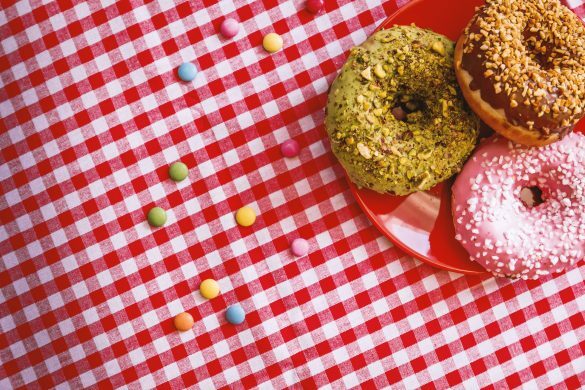 Perfect for parties or to make an average day a bit brighter. 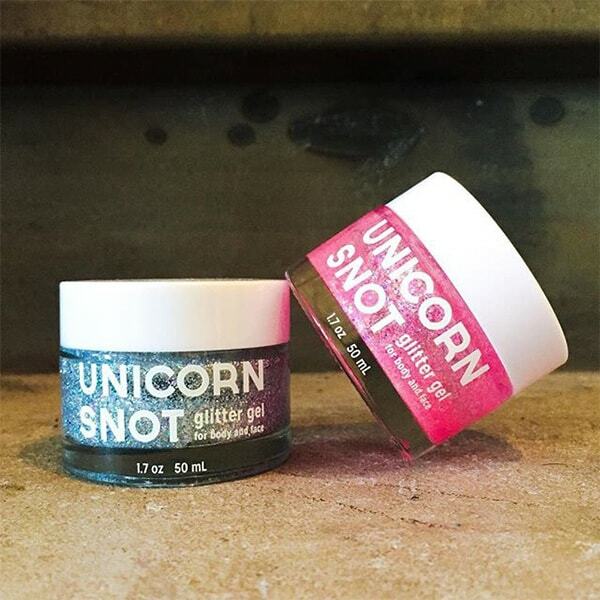 This unicorn snot is vegan and cruelty free (obviously) and safe for your body, face and hair. 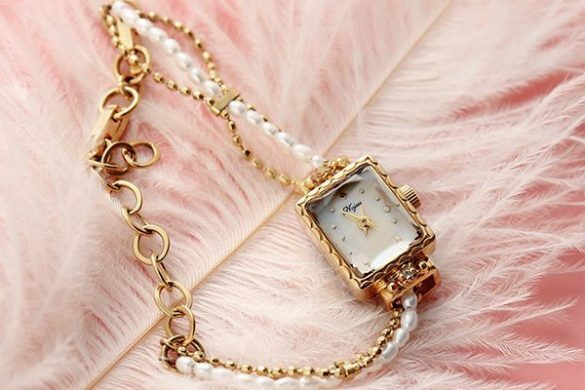 It’s the perfect for those days when you want to feel extra dreamy and magical. 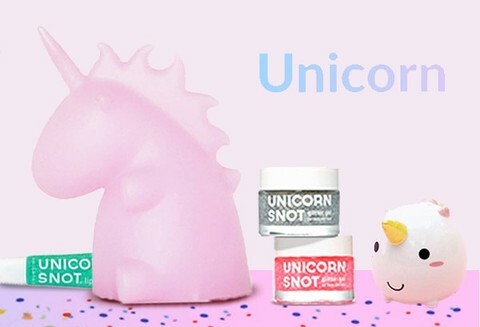 Click here for more unicorn decorations and unique products!